I have always been a huge fan of jewelry be it gold, silver, diamond or crystal. When I saw Infinity counter at Westside (I bought it 2 years back, it is no more in Westside now! ), I could not resist myself buying few for me. 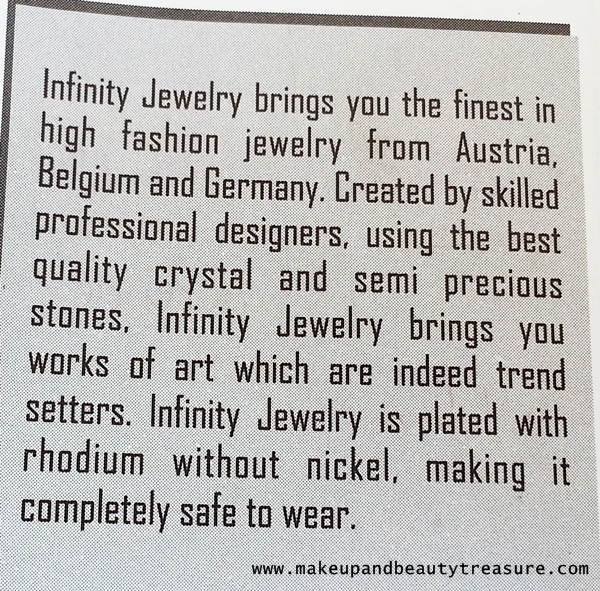 Today I am going to discuss my experience with Infinity Purple Crystal Jewelry. 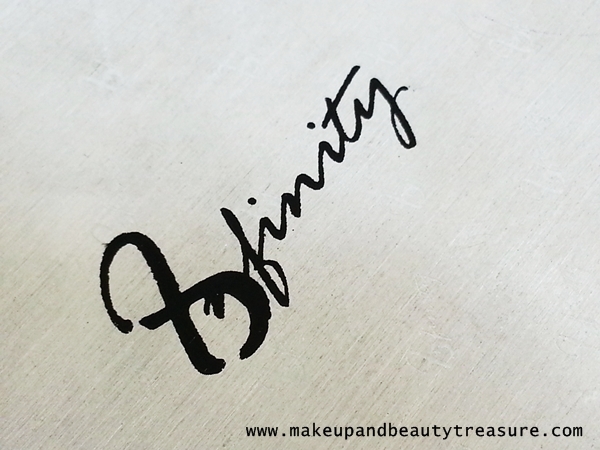 Available at: Infinity counters, online shopping website. I wish they have a website of their own. 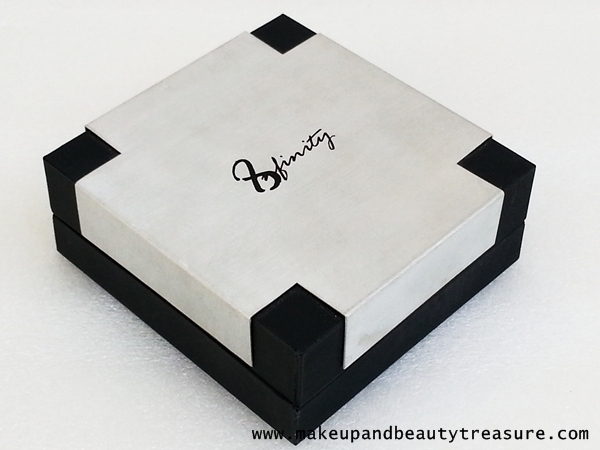 The jewelry set comes in a classy aluminium sort of metal and black sturdy box. It consists of chain, pendant and ear rings. 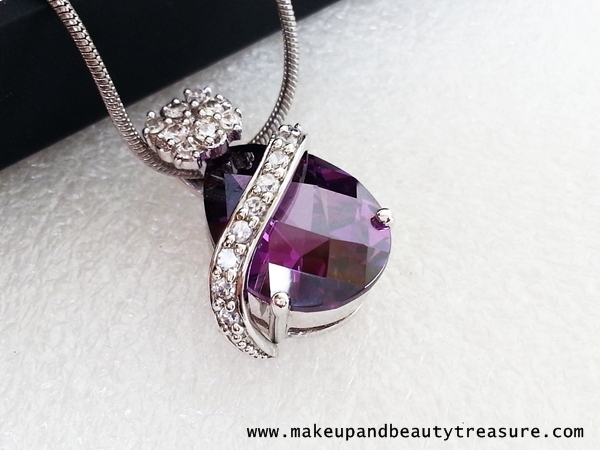 The pendant is made of beautiful, shiny dark purple crystal which looks catchy and attractive. I always get compliments whenever I wear it. 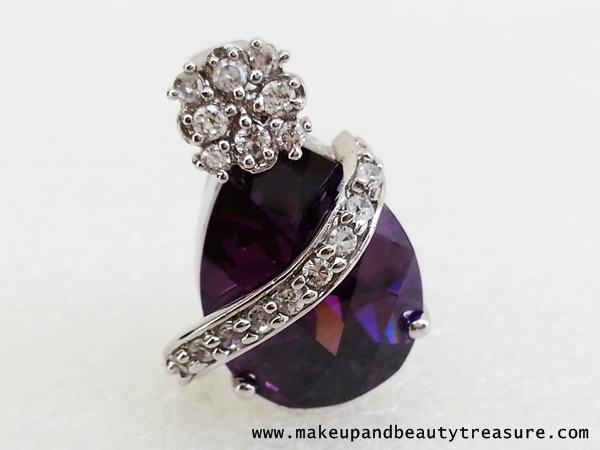 There is a curvy design over the crystal that is studded with diamonds. The design is stylish and classy. The ear rings are perfect in size. They are neither too small nor too big. They are lightweight and do not feel heavy on my ear lobes. The lock of one of the ear rings is slightly loose so I replaced with the ones that have rubber in it. 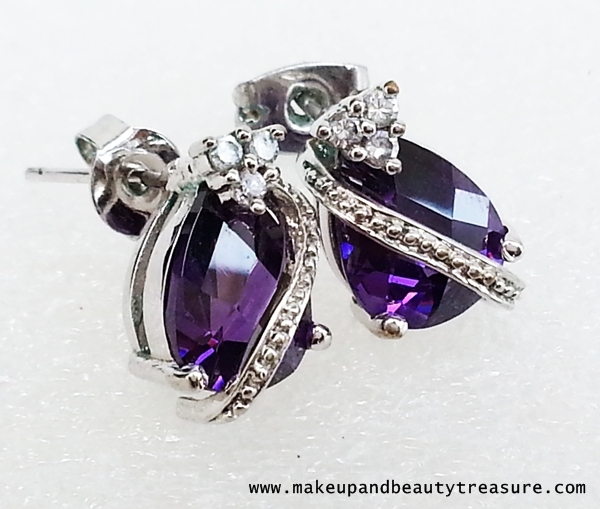 The crystals are Swedish drop in shape and are very sparkly. They are supported by three metal claws. They are not plain and smooth but have faces over it. They sparkle when they catch the light making them look more expensive and elegant. I have been using it since two years and I have not seen any scratch on them. The crystals are sparkly as they were on day 1. The set looks gorgeous on both ethnic and western wear. 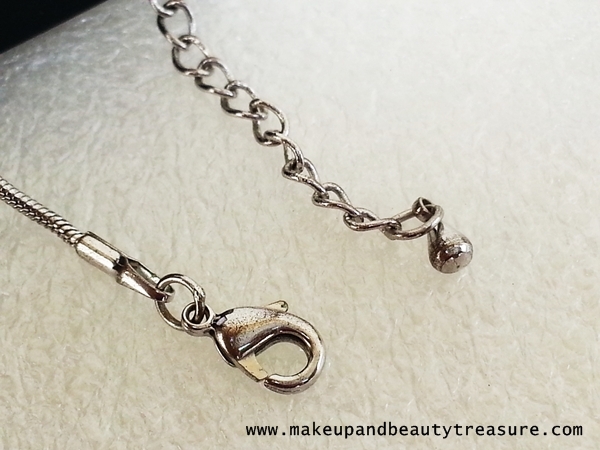 The chain is made of good quality and is plated with rhodium without nickle and does not get dull or caused any irritation to the skin. 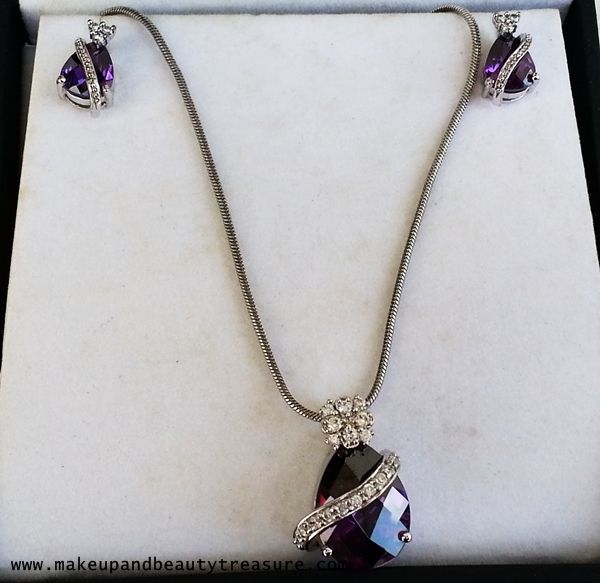 Infinity Purple Crystal Jewelry is one of the jewelry set I wear more often. It looks elegant and classy. I love the quality and color of the crystals. It can be paired up with both ethnic and western wear. I am absolutely in love with this jewelry. 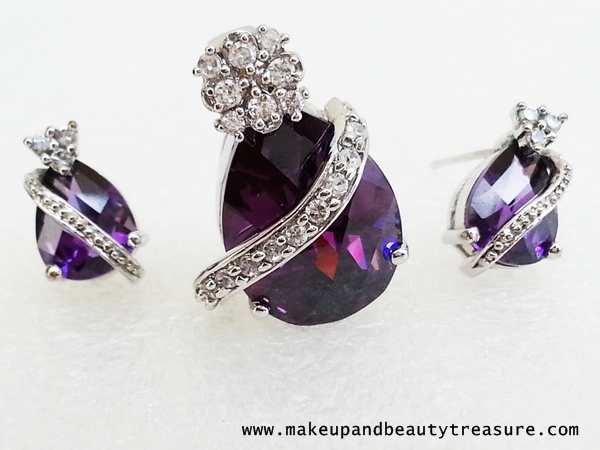 wow jewellery..sooo pretty....loved the pedant..I love purple colour a lot..
Lovely jewellery.. I also want it.. I am wearing it a lot these days Nieshu! LOVED the jewelry! So Pretty! What a Lovely Set, Megha!! I Love The Shade! Even The Polish Looks So Good! They do have royal jewellery.